Jelly isn’t much in style these days, I’ve noticed. Many people consider it too sweet, otherwise bland, and nearly devoid of nutritional value. I feel that way about many kinds of jelly myself. Who would choose strawberry jelly over strawberry jam, raspberry jelly over raspberry jam? Why throw out all of the fruit’s fiber and sacrifice the appealing texture that fiber provides? Some fruits, though, are too fibrous or seedy for a mashed jam. 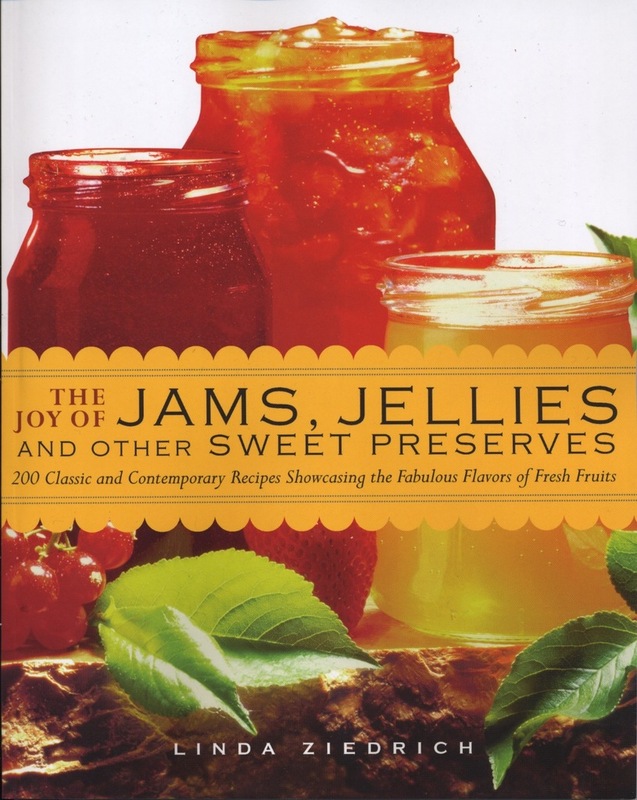 When they also have high levels of pectin and acid, they are perfect for jelly. 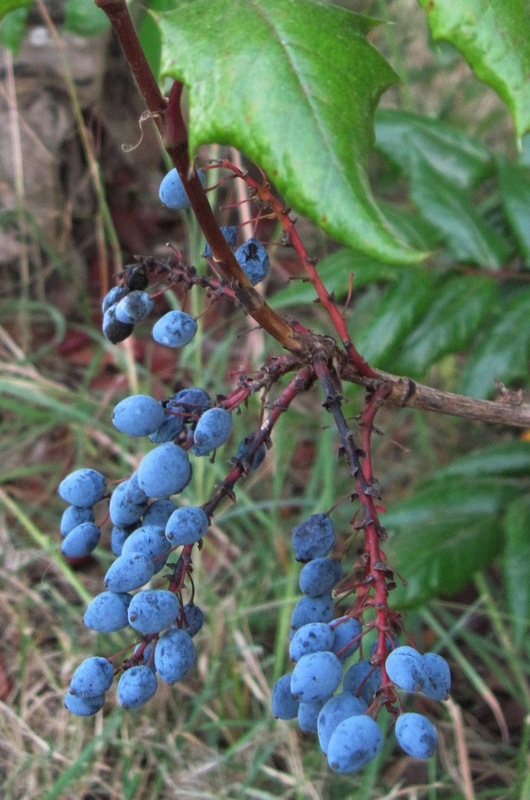 Oregon grape, Mahonia aquifolium, is one of these fruits. * I love the dark, tart, spicy jelly I make from the Oregon grapes growing beneath the bigleaf maple near our chicken house. Still, some people would always choose a jar labeled jam over one labeled jelly. So, last summer, for the first time, I decided to try making Oregon grape jam. Because Oregon grapes are seedy—a quarter of the weight of each berry is in its three seeds—I decided I would strain out the seeds, but I would still include some of the fiber that distinguishes a jam from a jelly. 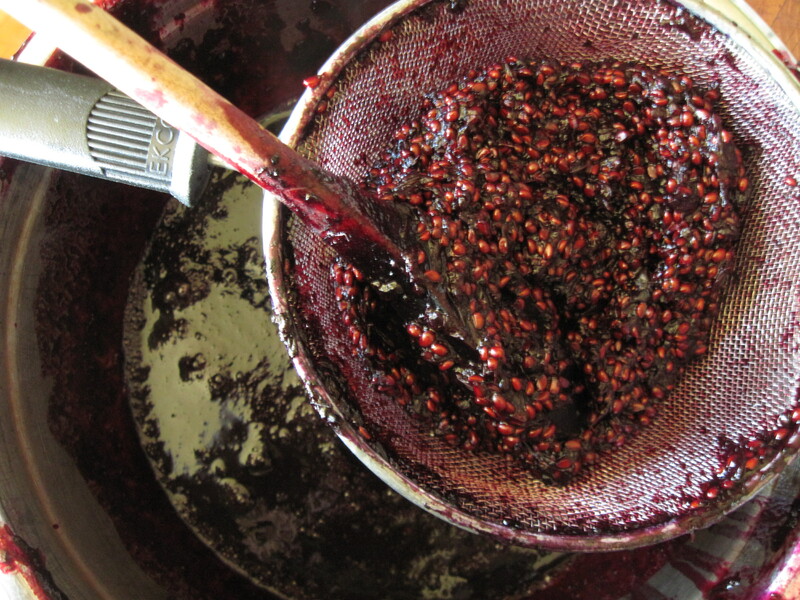 Because Oregon grapes are so rich in pectin, I would add a little liquor to soften the jam. Here is my recipe. In a large saucepan, combine the Oregon grapes and enough water to cover them. Cover the pan, and boil the berries gently, stirring occasionally, for 10 minutes. Crush the berries with a potato masher or other tool, and then boil them gently, uncovered, for 10 minutes more. Press the berries and their liquid through the fine screen of a food mill or through a strainer, leaving the seeds behind. Measure the purée; you should have 5 to 6 cups. Put the purée into a preserving pan along with the same volume of sugar. Heat the mixture, stirring, over medium heat until the sugar is dissolved, and then raise the heat to medium-high. Boil the mixture until it “sheets” from a spoon or until the temperature reaches 218 degrees F. Immediately remove the pan from the heat, and stir in the brandy or liqueur. Ladle the jam into sterilized pint or half-pint mason jars. Add lids and rings, and process the jars for 5 minutes in a boiling-water bath. Making Oregon grape jam is slightly more work than making Oregon grape jelly, since the latter requires only dripping, not pressing. The result really isn’t much different; both the jelly and the jam turn out opaque, smooth, and richly flavored. You could vary this recipe by adding spices—a stick of cinnamon, for example—or using another sort of liquor (I used my sister’s homemade liqueur of rosemary and Meyer lemon). If it’s a truly rough texture you want, you could include some or all of the seeds. *Mahonia nervosa, also known as Oregon grape, is a related, shorter species with similar berries that can be used in the same ways as those of Mahonia aquifolia—in jellies, jams, pies, and wine. 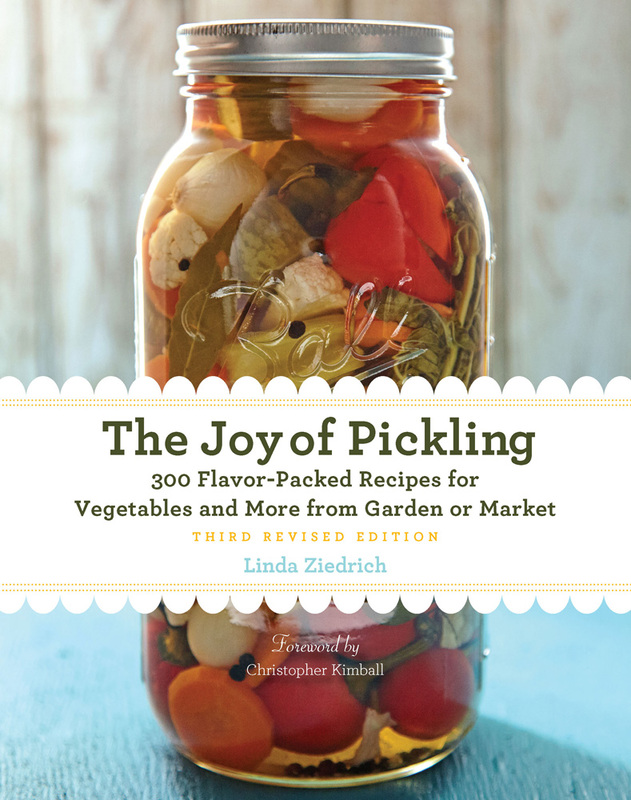 This entry was posted in Fruits, Sweet preserves, Wild foods and tagged fruit, jelly, Mahonia, preserving, recipe. Bookmark the permalink. Sounds like fun to make and eat! I live in North Carolina. Would there be any way that you could sell and ship me some of these Oregon grapes? Joe, I don’t grow enough Oregon grapes to sell, but Mahonia aquifolium is a popular landscaping plant in many parts of the world. Maybe you can find it growing in North Carolina? It grows in USDA zones 5 to 9. I had NO IDEA those were edible! We have them EVERYWHERE all over our property!! Thanks for the information! Joe, I have only two or three producing Oregon grape plants. They produce plenty of fruit for all the jam and jelly we want and a little more to give to friends, but not enough to sell. I could pick the fruit in the wild or at friends’ places, but I really don’t want to, because the holly-like leaves are prickly. Try growing your own plants. Many nurseries sell them. Interesting! I had never thought to keep the fruit. This plant grows like a weed, taking out everything in it’s path. Since I haven’t ever managed to eradicate it totally, I guess this year I will be making jam. I won’t be making an entire batch of it since I doubt I will have much fruit from the remaining shrubs. I agree Linda, nobody wants to spend time much time picking this fruit! I’ve been making use of unwanted fruit for jellying. A friend who teaches told me about an abandoned orchard behind her school building, and I went there, intent on foraging the apples she described—and I discovered *haws*! There were two small, gnarled hawthorns smothered in bright-red haws, and I picked several pounds, brought them home, and turned them into what proved to be a Kool-Aid-red/pink jelly. The problem, of course, was the seeds, and jellying seemed a better solution to dealing with those as well as to celebrating their rather hectic color. The resulting jelly has a somewhat tannic undertone that I didn’t try to tame because I thought it was part of the fruits’ charm. The taste is slightly, ummmm, *feral,* and goes beautifully with autumn braises. Sugar, lemon juice, water—that was all it took: haws are evidently crammed with pectin. Thanks for reminding us of all the lovely, underused fruit that’s out there, rotting on trees and forest shrubs. Thanks, Megan. For those unfamiliar with Saskatoons, they are also called serviceberries and juneberries and shadberries, and they grow on small trees and shrubs in the genus Amelanchier. I haven’t preserved Saskatoons because I’ve never been able to grow them, or find them in the wild, in substantial quantity, but I think I’ve now got a tree, of a variety selected for its fruit, planted in a good place, so maybe next year or the year after I’ll be able to try Saskatoon jam. The Victorio Food Processor is perhaps better known as a tomato strainer, but today various screens are available to fit the device–screens for berries, pumpkin, and salsa as well as tomatoes. Megan, did you use the berry screen with your Saskatoons? Jan, many thanks to YOU for reminding me and all the readers of this blog about haws. I have never used them, because the haws I’ve tasted haven’t seemed at all promising. But there are many hawthorn species and cultivars, and some undoubtedly have better fruit than others. And maybe some haws that you’d spit out in disgust could actually make good jelly? I’ll have to try for myself. Does anyone know if it would work to make a mixed Oregon Grape/Blackberry jelly? I picked all the Oregon Grape on my property this summer, but there wasn’t really enough, so I froze the berries. Now that it’s Blackberry season, I’m wondering if I could mix the two. If so, could you suggest a recipe? Laurel, I haven’t tried that blend, but it ought to work. Try four parts juice to three parts sugar. You shouldn’t need to add lemon juice or pectin. To make juice from Oregon grapes, use a steam juicer, or combine the Oregon grapes with half their volume of water and boil them gently, uncovered, for 15 minutes, mashing them after the first 10 minutes. Drain the juice through a jelly bag, and boil it for 10 minutes to reduce it before proceeding. One year I got word on July 2 that I had to be packed and moved to Alaska in one month. Berries were abundant. I mixed June blackberries, a friends loganberries, red raspberries wild blackcaps, Himalayan blackberries, red huckleberries–, anything I could find. Didn’t know what I was getting into in AK. That mixed berry jam was parceled out over 3 years. Only raspberries, AK blueberries and lingenberries were readily available in Eastern interior of AK. When I moved to Idaho I met another challenge. I was itching to make a batch of wine but did not have the fruit for a batch so I mixed Rosehips,Black Haws and Serviceberries and got a wonderful mix I called Hedgerow Wine. ! Don’t be afraid to mix friuts. I was going to write my own blog on making Oregon Grape jelly, but when researching recipes, this blog post I found was brilliant for trying out for my first time!